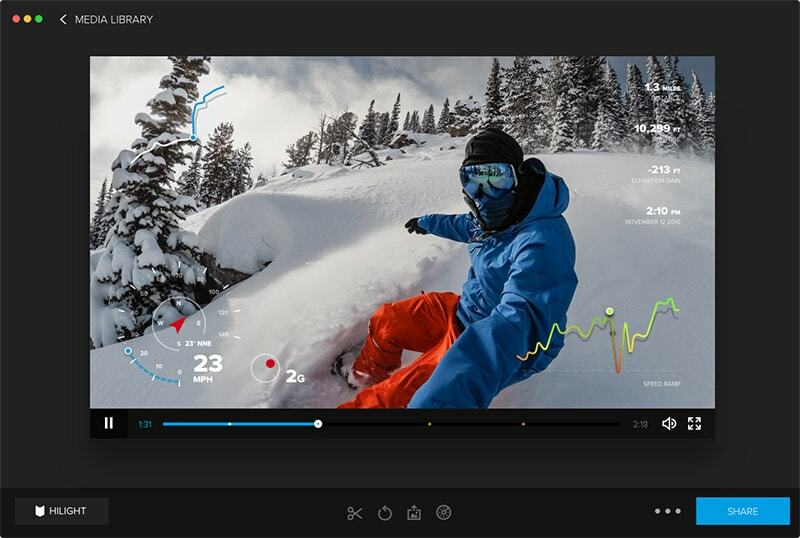 Both these models are the latest additions into GoPro family with so many advanced features. You will be glad to hear about their waterproof body that can go under water even without external housing, it can control things via voice command and so many features are added to imaging specs. With so many updated features, there are still few things that make these cameras stand different from each other. If you are little confused about which one of these devices can fulfill your requirements in best possible manner then it is good to go for the review below. Both these cameras are very small in size with compact look, but Hero5 Black is little larger than the other unit. This significant variation in size is just because of the added 2 inch touch screen type display and it is probably one of the most interesting features in the Hero5 Black. The addition of touch screen has made this device much easier to use. This time you need not to read those typical instruction manuals to control things from your camera. The easy navigation feature will provide you everything at one terminal with touch screen. The Hero5 Black model also consists of 3 control buttons that helps in quick adjustment of settings on small LCD panel. Both these units can be controlled easily from smart phones using the wireless connectivity feature. On the other side, if we talk about battery then Hero5 Black comes with a larger battery backup with its 1220mAh design whereas the other one possesses only 1000mAh. In case of Hero5 you have to save your battery power till the time your shoot is over but the other one comes with removable battery so you can use the spare one during your long tours. The one more similarity between both these devices is in terms of waterproofing as they can serve up to same depth with housing as well as without housing. The resolution sensor is much higher in Hero5 Black as compared to Hero5 session that also serves with low light image capturing facility. This camera serves with 12Mp resolution for stills whereas the other one possesses only 10MP. The extra 2 MP resolution can serve with amazing clarity and also have much higher ISO limit as that of Session device. Users are also able to enjoy the built in HDR mode with the flagship model. One of the most important aspects is that Hero5 Black can help users to get raw images that can be post processed for much better and customized results. Both these cameras: Hero5 Black as well as Hero5 Session are capable enough to capture 4k video resolution with a frame rate of 30fps. Other than this users can switch these devices to 2.7K, 1080p, 1440p, 720p and 920p resolutions. The bit rate can go as high as up to 60Mbps and some of the additional features are auto image rotation facility and video looping. Other then this both these devices are having GoPro Protune advanced software. Professionals say that the video recording abilities of GoPro Hero4 Black are much superior to that of Hero5 session; it can be in terms of image resolution and frame rates that improve speed of videos. The black is capable enough to serve users with higher quality as well as it possesses much flexible controls. The audio features of Hero5 Black and Hero5 Silver are almost similar and they can assist video creators in clear voice levels. It is possible to connect external microphones to both these devices via 3.5mm Audio Jack, the mono capabilities are rated as 48 KHz and AAC compression technology is added to both these units. The advanced multi band type AGC is also an appreciable addition to these cameras. Voice Control: The voice control feature is accessible in both cases and it assist in much better controls during video shooting. Users can have active control over footage where few code words can manage all basic video controls with ease. If you are planning to go for a long drive to adventurous place then you simply need to mount your device somewhere as possible and then just shout the control voice commands to initiate the recording process and go through other basic features. GoPro Plus: Both these cameras can be controls via GoPro Plus application that runs over cloud. It assists them to save all recordings directly on cloud using GoPro Plus account. You can avail free trial version of this application for two months whereas the full featured original application is available with a monthly subscription payment of $4.99 only. GPS: The Hero5 Black consists of active GPS control but this feature is not accessible in case of Hero5 Session. It helps users to set geo-tag to all captured images and videos same as that of smart phones. It simply makes your video footage ready to upload by generating tags whenever necessary. 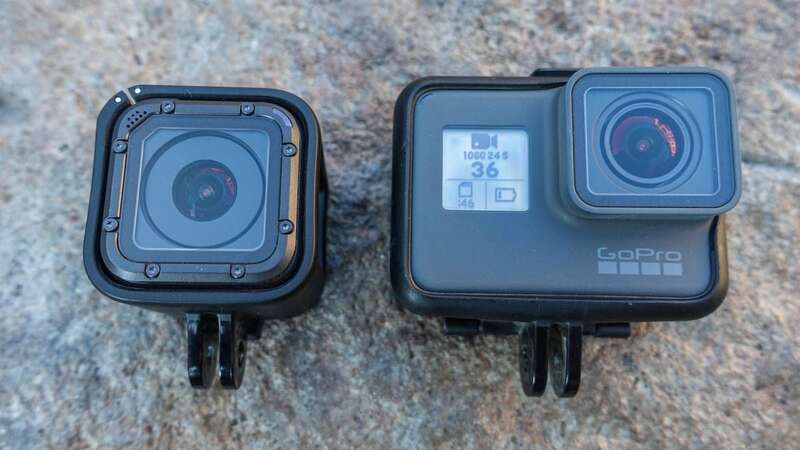 You have to keep your budget high for both these devices, but in case if your range is below this level then it is better to go for GoPro Hero Session that offers so many amazing features with $100 less. And it is so small that you can fix it to almost any places you want, like helmet or under your saddle.